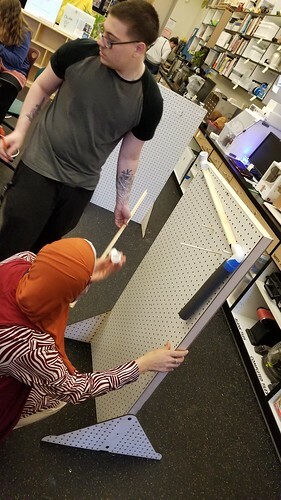 Inspired by the Tinkering Studio’s Instructable Make a Marble Machines Board, we set about to construct three of them for our Making for Educators class. 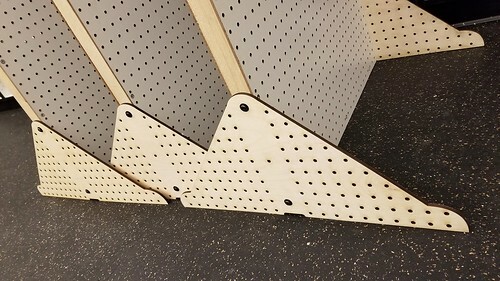 I designed a custom foot, which we cut from 1/4″ plywood on the laser cutter in our makerspace. I put the file up on Thingiverse, in case you want to download it. The feet include 1/4″ holes, so that dowels can be used to support marble machine elements down low. 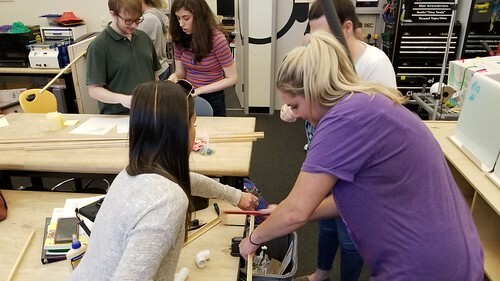 We’re pretty space constrained in the Innovation Center, so we need to be able to remove the feet so as to store these marble machine boards flat when not in use. 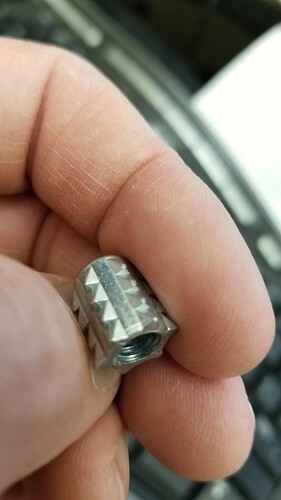 If I had it to do over again, I would have used pronged t-nuts, but we had already affixed the pegboards to the frames, so these insert nuts will do fine. …and beginning to attach their tracks. We introduced the idea of embedding Makey Makey into their machines, and they’ll have more time to work on them in the next class session.